It all started in the spring of 2010, when two young programmers – Daniel Linden and Martin Eriksson – wanted to develop a software program for time tracking that was both efficient and attractive – a program that was eventually named TimeApp. Something that the company’s owner and CEO, Lars Knapasjö was clearly in favor of. At the end of 2010 it was decided that TimeApp, which then had developed even more and turned into something of a compact ERP, would be one of two business areas for the company. The second business area was the publishing business with the trade magazine Screen&Marknaden (8 issues per year and targets companies within Print, Profile and Promotion). At this time, TimeApp had become a cost effective and smart way for companies and organisations to keep track of time and trips, customers and projects, costs and expenses. Instead of rigid, gray and boring – Martin and Daniel had built a platform that is pleasurable, cheeky and actually quite different – something that everyone can start their working day with. The base functionality has always been time tracking complemented with mileage log and all statistical variants required to produce a billing record. Though with time, TimeApp has developed into a sort of compact business system with a great number of sensible and valuable features. Today we are still a small company located in the Eden of Sweden; Katrineholm. We are currently 6 people who work with TimeApp. Some of us have been involved since the dawn of TimeApp and some have joined us more recently with new energy and sometimes unprecedented ideas. In September 2014 we changed our official name to P&K TimeApp AB, a crucial step that shows that we are fully committed to TimeApp. 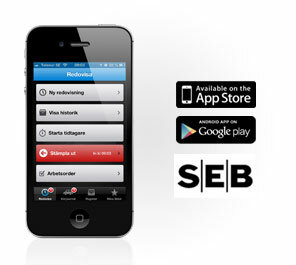 Earlier we were called P&K Utvecklingskonsult AB but TimeApp has since 2010 been our main business. Before that we were consulting in public relations, communications and IT. The first public beta-version of TimeApp is released on april 15. What started with just time tracking of clients and projects, grew exponentially during the year, with more and more functions – such as billing, article database and a mobile version. The goal of TimeApp has always been to create a simple, flexible and efficient system that suits companies across all sectors. From craftsmen and builders to lawyers and legal professionals. If 2010 was a year of development, 2011 was about putting the brand TimeApp on the map and to find new ways to market it. 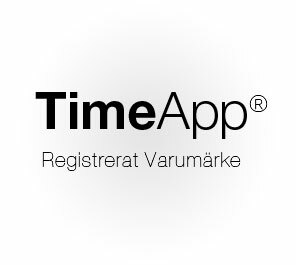 On March 31 TimeApp® was officially registered as a brand in Sweden. Based on the feedback that came back from customers and trial-users, we were able to hone a lot of the features of TimeApp and work on ways to improve the interface. The year begins with an incredibly intense period of development in which the objective was to take TimeApp to the App Store and Google Play. A project that would be completed during the second quarter – specifically May 18. 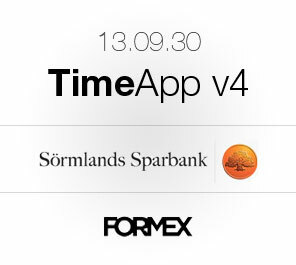 In February, we signed a cooperation agreement with one of largest banks in Sweden, whom would market TimeApp towards its corporate clients. The apps for iPhone and Android, was highly appreciated by the users, and it became clear that bringing the simplicity of the TimeApp platform to mobile devices would play a crucial role in TimeApps continued growth. This year also starts with a massive development project that lasted for about nine months. The platform we started out with in 2010 needed to be broadened and restructured in order to respond effectively to an ever increasing growth and rate of expansion. On September 30 we launched TimeApp version 4 – a robust, modern and modular platform that gives both us and our customers and future customers, new opportunities. 2014 had a whole cavalcade of exciting events in store for TimeApp. In the spring we launched TimeApp internationally under the name TimeApp.biz. Equipped with the industry’s Freemium model, TimeApp shortly succeeds to associate itself with users from all over the world. The Swedish Tillväxtverket grants TimeApp an Internationalization Check for half a million SEK to be used to establish TimeApp in the UK, the Baltic countries and Poland. Spurred by the success of the Freemium Model, the decision to introduce the business model on the Swedish market was made. As of May 21, 2014 TimeApp is completely free of charge for one user – without any restrictions in either time nor functionality. The company behind TimeApp, now a registered trademark not only in Sweden but throughout the EU, changed its name to P&K TimeApp AB from the former P&K Utvecklingskonsult AB. TimeApp is an online platform aimed at everyone who’s in need of tracking time and expenses in relation to Clients and Projects. It’s the perfect tool for lawyers, consultants, craftsmen and many more.